8 Landsdowne B&B is ideal for business or leisure travellers, and is perfectly situated in the quiet, peaceful Bryanston East area (between Bryanston and Ballyclaire Drives), not far from the bustling Sandton CBD. The Sandton Convention Centre, Stock Exchange and Sandton City Shopping Centre are just a few minutes drive away. Also nearby are Hyde Park Shopping Centre, Montecasino and the Fourways Mall. Sandton Clinic, Morningside Clinic and Sunninghill Hospital are all within a few kilometers of the B&B. There is convenient access to Rivonia Road, William Nichol Highway and the M1 and N1. Restaurants are also plentiful! The area is boomed and has 24 hour security. The property itself has excellent security. Parking is on the property and the B&B has a separate private entrance. 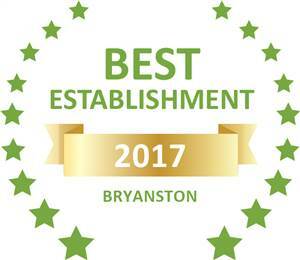 Based on reviews of establishments, 8 Landsdowne Bed & Breakfast has been voted Best Establishment in Bryanston for 2017. 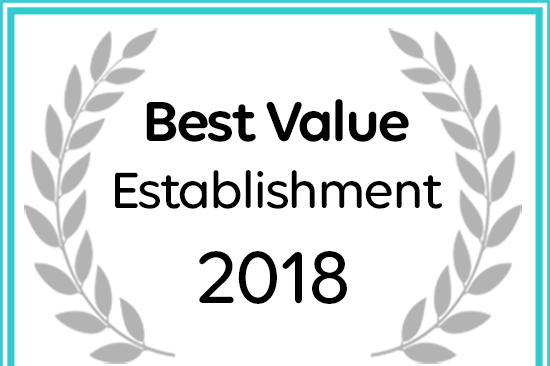 8 Landsdowne Bed & Breakfast in Bryanston has won a 2018 Best Value Award.